Though it was once thought that the evolution of the human species was a linear progression from ape-like ancestor to modern humans, recent findings have shown that extinct subspecies of early humans existed and that the line from our ancestors to us was substantially more complex. In fact, our Homo sapien ancestors are believed to have interbred with Neanderthals, and this mix of DNA could have granted the human species some resistance against viral infections. Though Neanderthals mysteriously went extinct approximately 40,000 years ago, they left their mark on the DNA of the human species. It is thought that still today there are approximately 2% of Asians and Europeans that have Neanderthal DNA within their genomes. 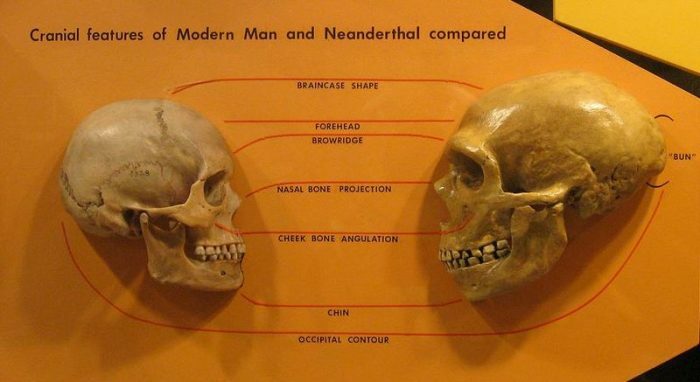 Chunks of Neanderthal DNA are more prominent in modern humans than other chunks, which has recently led scientists to research the possibility that these snippets of DNA gave humans some sort of evolutionary advantage. According to research done by scientists from Stanford and the University of Arizona, the reason that certain snippets of Neanderthal DNA are more likely to be found within the human species than other snippets is that these Neanderthal genes probably granted the human species a level of protection against viruses. David Enard, Assistant professor in evolutionary biology and ecology at University of Arizona explains that when Homo sapiens encountered Neanderthals, they infected each other with a variety of pathogens they carried with them from their respective environments. Yet by interbreeding with one another, the two species also passed genetic adaptations capable of defending against these pathogens to one another. So while humans initially began getting sick from Neanderthal viruses they had no immunity against, over time the human populations in contact with Neanderthal populations acquired the genes that granted resistance against the viruses as well. Enard calls this the “poison-antidote” model of gene transferral. It is believed that modern humans began their journey out of the African continent, moving into Eurasia approximately 70,000 years ago. Neanderthal populations were already adapted to that geographic region, including having defenses against pathogens and viruses that existed in Eurasia but not in Africa. Enard and co-author Dmitri Petrov, Professor of Biology at Stanford University, says that it is well known that viruses influenced the evolution of humans. They say approximately one-third of all the various proteins that humans have evolved since they initially diverged from other apes were manifested as a result of a response to viral infections. 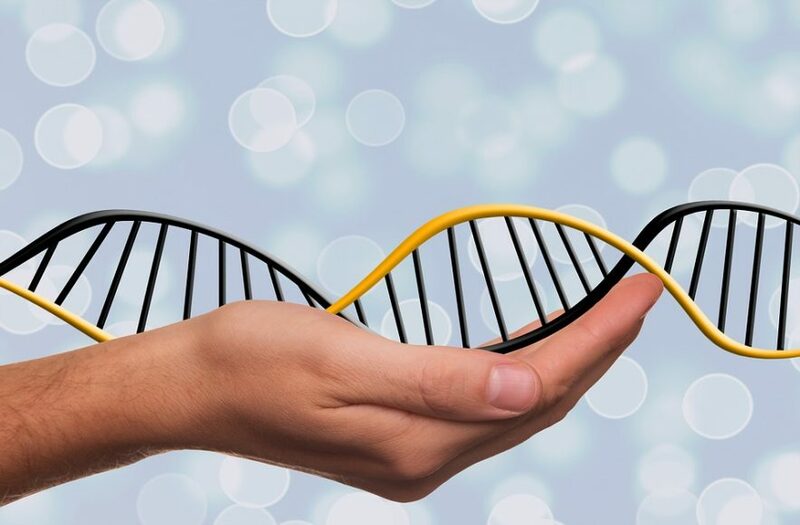 Petrov and Enard’s current study examined the thousands of genes within the human genome that are believed to defend against viruses and other pathogens. A substantial portion of the human genome defends against viruses, approximately 4000 out of some 25,000 genes. Enard explains that these genes were selected for study because they were more likely to have evolved in response to infectious diseases compared to other genes in the genome. The researchers then looked for areas where Neanderthal DNA was present in those 4000 pathogen-related genes, looking for overlap in Neanderthal DNA segments and segments of defensive DNA. According to the results of the analysis, there was substantial evidence that the viral resistive genes were shared between both Homo Sapiens and Neanderthals. The researchers found 152 genes shared by European and East Asian humans, and all of these shared genes had one thing in common – they interact with RNA viruses like hepatitis C, HIV, and influenza A. While these specific viruses likely weren’t around during the time that humans and Neanderthals coexisted, similar viruses were probably common enough to necessitate the acquisition of defenses against them. It made much more sense for modern humans to just borrow the already adapted genetic defenses from Neanderthals rather than waiting for their own adaptive mutations to develop, which would have taken much more time. Petrov and Enard say that the evolutionary advantages the Neanderthal genes granted Homo sapiens by protecting them from viruses would explain why these specific Neanderthal sequences have stayed within the human genome while many others likely disappeared. Population geneticists have often wondered why these specific Neanderthal genes stayed within the human genome, while many others were probably bred out. Petrov says that selective benefits likely explain the discrepancy, noting that “resistance to specific RNA viruses provided by these Neanderthal sequences was likely a big part of the reason for their selective benefits”. Petrov and Enard are hopeful that the research could have benefits regarding the discovery of disease outbreaks in the ancient world. Beyond that, understanding how resistances evolve and spread throughout the population could inform ways to combat future epidemics. Enard explains that one of the problems with researching RNA is that it degrades very quickly, making it difficult to uncover much about the ancient diseases that came from RNA viruses. Enard compares the genetic legacies left by Neanderthals to dinosaur footprints preserved in fossilized mud. It’s possible to make some inferences about the viruses that caused them, even without access to the viruses themselves. It should be noted that while the 152 shared genes may interact with modern viruses at some level, they don’t actually defend against them. This is part of the arms race that is evolution. When one species evolves a defense against a form of attack, the attacking species will evolve new methods of penetrating those defenses. So while the genes left behind in our genome by Neanderthals may have proved useful in defending against ancient viruses, humanity still had to adapt to thousands of viruses across its history. The fact that humanity had to adapt to so many different viruses to get its current level of viral defense, all the cost of an “unfathomable amount of deaths”, is a reminder of how important vaccines are, Enard says. Humanity doesn’t have another race of humans it can inherit genetic defenses from, but reliable vaccines can protect us even better than that.